PLUS a 16-page interactive Viewer’s Guide for Parents, Teachers and Counselors. Additional Viewers Guides Available for $5.00 each (S&H included). PLEASE NOTE: Your order automatically registers your email address on our mailing list. You’ll be the first to learn about screenings and events related to the film and the 2e Center. This list will never be sold to outside parties (I promise!). If you do not wish to be added to our mailing list, please click here to unsubscribe. These DVDs are for private and personal home use only. They are not licensed for any type of institutional, educational, community, library, resale, rental or public use whatsoever. They are not to be duplicated, transmitted in any form or used in any other unauthorized manner. The purchase of this film for Home Use constitutes an agreement to these terms. 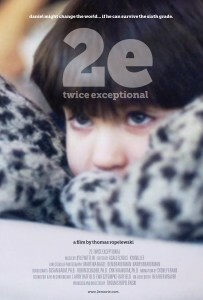 Please visit Kanopy Streaming at https://www.kanopystreaming.com/product/2e-twice-exceptional for complete information on how to order. The film will be available for streaming for personal and home use sometime in 2017. 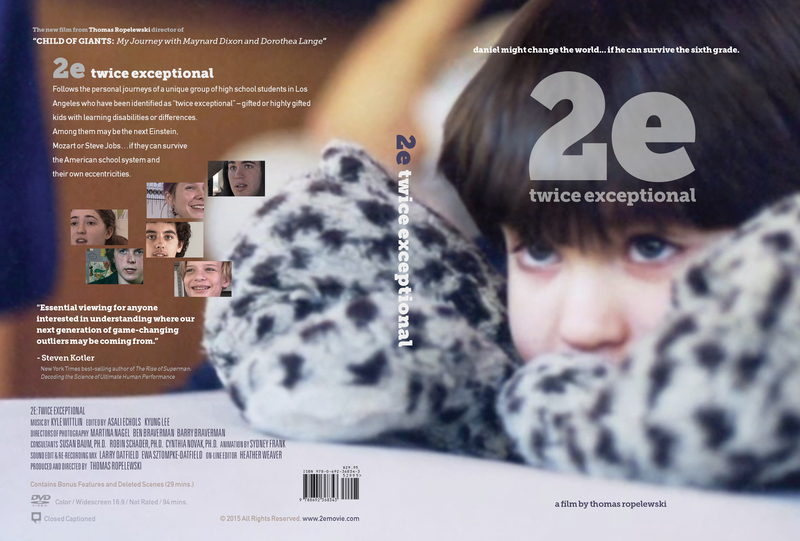 This fee includes one DVD, one Viewer’s Guide and a one-site-specific license intended for K-12 public and private schools, libraries, parent-teacher, therapeutic and community groups and small health institutions. The license does not expire and allows 1) unlimited classroom use for the licensed institution only and 2) clubs and private screenings where fees are not collected. This license does not allow paid public screenings. This fee includes one DVD, one Viewer’s Guide and a one-site-specific license intended for public and private schools and colleges, universities and health institutions. The license does not expire and allows 1) unlimited classroom use for the licensed institution only and 2) clubs and private screenings where fees are not collected and 3) online streaming of the film for one specific course. This license does not allow paid public screenings. This fee includes one DVD, one Viewer’s Guide and a one-site-&-date-specific license intended for a single paid public screening event.